I'm a real person who takes real pictures of real people. My goal is to capture the heart of you, your partnership, and your wedding. I like to say that my true job is to help you feel most like yourself on your wedding day so you can simply focus on you and then relive those special moments again and again through your pictures. 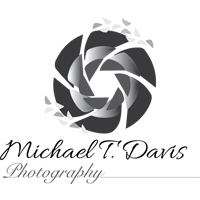 Welcome and Thank You for considering Michael T. Davis Photography to document your wedding. I am your State College Wedding Photographer serving Central Pa, Philadelphia Metro, D.C. Metro areas and beyond. Near or far, I enjoy the privilege of capturing and creating lasting memories from your wedding day. Please take a moment to meet Michael, take a look at my artistry, and schedule your consultation so that we can discuss how I can make your wedding most memorable. Every photographer has elements of their work that are important to them. I want you to know up front what you can expect from my work. Organic: You won’t look fake or awkward or posed. No outlandish and unnatural body modifications during the editing process. Artistic: Lines. Colors. Texture. Your wedding is a work of art and your photographs will be a reflection of the timeless days/months/years you put into creating this perfect day. Timeless: I don’t get swept up in photography fads. I want the only indicator of the decade to be your dress style, not how the pictures are edited. Based out of State College, I travel near and far to capture your wedding day. I value my role as your wedding photographer and ensure that I do my best to make your day most memorable. Take a look at my reviews here, here, and here to learn more. Professional: I will work well with your family and friends and any other vendors. Dedicated: I will go to any lengths to get the best pictures of you on your big day. Flexible: You need me there earlier? Great. Want me to step away for a bit? You got it. Supportive: Weddings are stressful. I will be there to support you and get you what you need. Communicative and Responsive: You’ll know what to expect from me and when to expect it. "Words can't express how much we are impressed and touched by Michael’s work. He isn’t a just a photographer, he is an artist. He has the eye and talent to capture the depth and powerful emotions people want to hold on forever. He has the ability to bring to life the symbolic objects that represent a wedding – the ring, the dress, the cake, even the vows. We hired Michael for our wedding, which is a surreal day for the bride and groom. When we viewed all of the wedding pictures for the first time, we were able to go back and relive that day all over again – he turned that whirlwind of a day into a storybook without words. Michael is very professional to work with – and a perfectionist who wants to provide you with the best service and will only deliver a magical product that you will forever cherish."